"Do you want fries with your flight?" 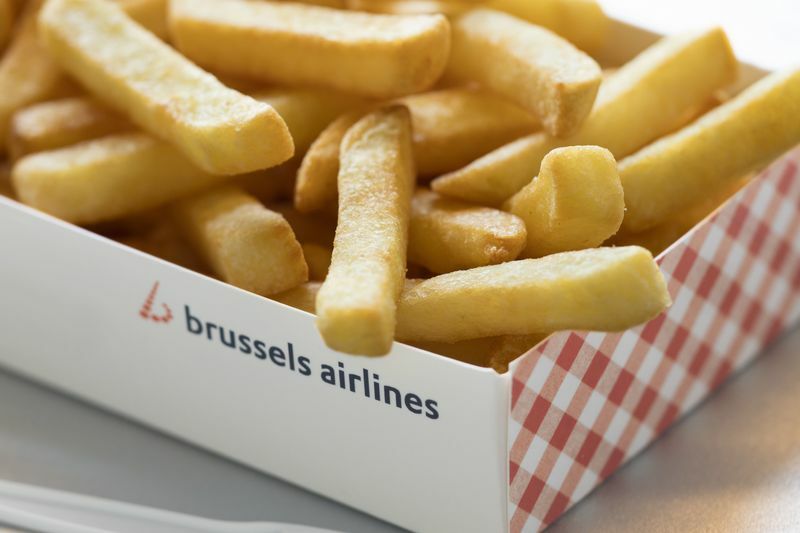 BRUSSELS - Belgium is known for Tintin, for surrealism, chocolate and above all… fries, something Brussels Airlines did not offer yet on board, until today. The airline has put fries on its in-flight menu, wíth mayo or ketchup, of course. The Belgian fries are available on all European flights with a duration of over 2 hours. After the fries, another Belgian specialty will be added to the menu: warm Belgian waffles, which are a big hit among foreign travelers according to the airline set to join the Lufthansa universe soon. Brussels Airlines serves meals of Belgian Michelin starred chefs on its long distance flights and offers Belgian beers, cheeses and chocolate to its customers. Next to that they have dedicated three aircraft liveries to Belgian icons: Tintin, surrealist painter Magritte and the Red Devils (Belgium’s national football team).